It was ten years ago that the London Review of Books published an article on the Israel Lobby by John J. Mearsheimer and Stephen M. Walt, distinguished scholars at two of America’s top universities. The following year the publisher, Farrar, Straus and Giroux found the courage to publish The Israel Lobby, a book with 357 overwhelmingly 5 star amazon.com reviews. The Israel Lobby is an understated critique of the enomous influence that the tiny state of Israel, which consists of land stolen by fire and sword from the helpless Palestinians, exercises over United States foreign policy. The crazed Israel Lobby went berserk. Mearsheimer and Walt were demonized as anti-semites who wanted to bring back Hitler. Also in 2006 former President Jimmy Carter’s book, Peace Not Apartheid, was published by Simon & Schuster and became a New York Times bestseller with 846 overwhelmingly 5 star amazon.com reviews. Carter, who as US president did his best to bring Israel and Palestine to a settlement, truthrully explained that Israel was the barrier to a settlement. The Israel Lobby demonized Carter as an anti-semite, and the Jews on the board of the Carter Center resigned. No member of the Israel Lobby has the stature and distinction of Mearsheimer, Walt, and President Carter. The Lobby’s operatives are people of no significance who make a living slandering, libeling, and trying to destroy the reputation of everyone who makes the slightest criticism of Israeli government policies. This tells us that the Israel Lobby knows that Israel’s behavior is so atrocious that it cannot stand the slightest examination. We can criticize Moscow without being labeled “anti-Russian,” and we can criticize Washington without being labeled “anti-American,” but we cannot criticize Israel without being labeled an “anti-semite” and accused of wanting to restart the holocaust. In 2015 the Israel Lobby was able to reach into the University of Illinois and have rescinded the tenured appointment extended to Steven Salaita and accepted by him. Salaita resigned his tenure at Virginia Tech and sold his home, only to have his appointment resinded by University of Illinois chancellor Phyllis M. Wise and the university trustees, who apparently were offered large monetary donations to the university in return for reneging on the university’s contract with Salaita. Salaita had tweeted some criticism of the Israeli government’s behavior, and this transformed the scholar into an anti-semite. The Lobby’s power is a danger to Israel. The Lobby’s reliance and that of the Zionist government on force majeure alienates the rest of the world, but creates a hubristic sense of invulnerability in Israel itself. The pride that Israeli politicians express in their ability to control US foreign policy and the pride that the Lobby enjoys in its influence over US academic appointments, journalism appointments,and decisions of textbook publishers leads to an arrogance that eventially over reaches. In the meantime Israel is busy at work eliminaing friends whose constructive criticisms are intended to save Israel from a future of woe and misery. The result for Israel will be isolation. Carter, who as US president did his best to bring Israel and Palestine to a settlement, truthrully explained that Israel was the barrier to a settlement. The Israel Lobby demonized Carter as an anti-semite, and the Jews on the board of the Carter Center resigned. 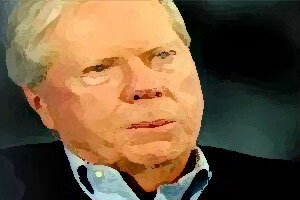 Dr. Paul Craig Roberts was Pres. Reagan’s Assistant Secretary of the Treasury for Economic Policy and consultant to the U.S. Department of Defense and the U.S. Department of Commerce. Dr. Roberts’ latest books are The Neoconservative Threat to World Order and How America Was Lost. Dr. Roberts was Associate Editor of the Wall Street Journal, and professor of economics in six universities.